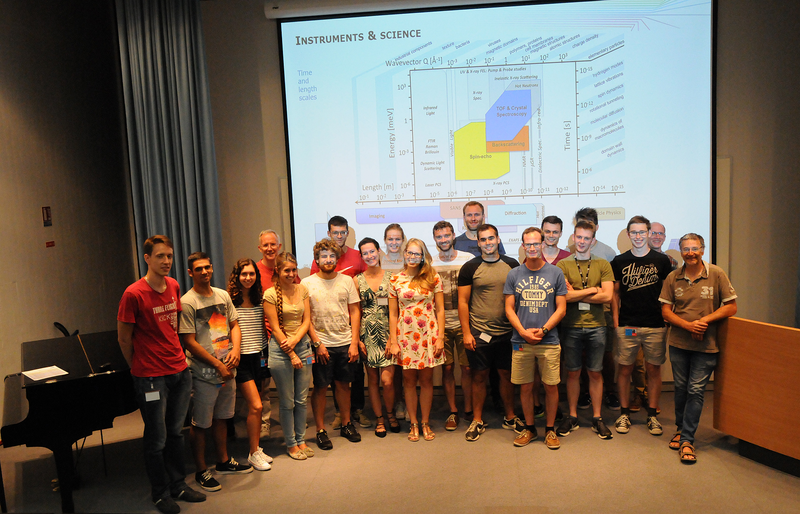 The ILL/ESRF International Student Summer Programme on X-Ray and Neutron Science is aimed at undergraduate students. 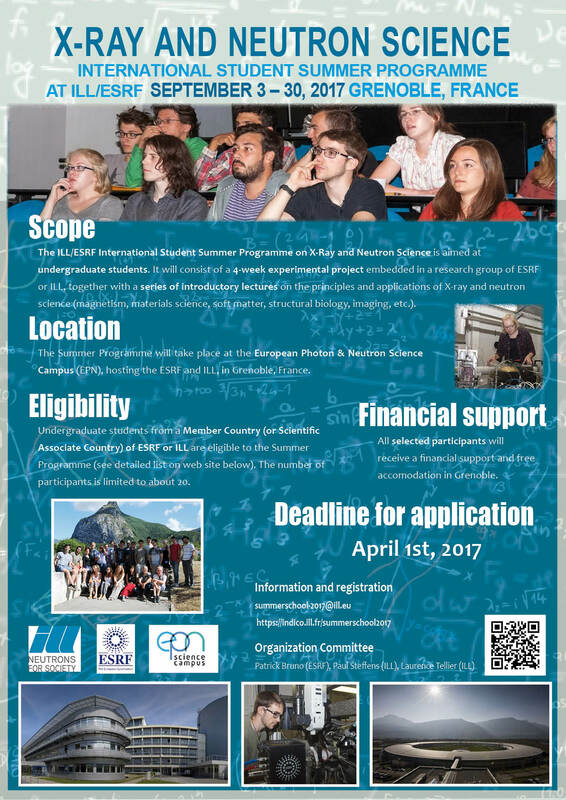 It will consist in a 4-week experimental project embedded in a research g roup of ESRF or ILL, together with a series of introductory lectures on the principles and applications of X-ray and neutron science (magnetism, materials science, soft matter, structural biology, imaging, etc. ).